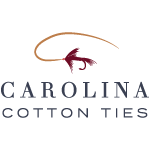 Carolina Cotton Ties is a family owned and operated business. Ethan Igleheart is the face of their business. His experience making and selling bow ties and related products began in 2008 with an online retail sore, T1OP, which became Carolina Cotton Bow Ties in 2012. While we remain “bow tie” oriented, in 2015 we added neck ties to their product line. Bow ties are a tradition in their home town of Charleston, South Carolina. Ethan’s grandmother sewed cotton bow ties for him, his father and others. She created a pattern and then selected fabric that stood out and suited the bow tie wearers in the family. Bow tie wearers are a discerning bunch and typically have a good sense of style and taste! Each of their bow ties, neckties, pocket squares and special order items are hand cut and made by them from specially chosen fabrics. They know you will enjoy wearing their products as much as they enjoy making them. Are you looking for a graduation gift for your son, or a father’s day gift for your dad or husband? Look no further. Shop here and purchase the Zion Thomas Bow Tie. 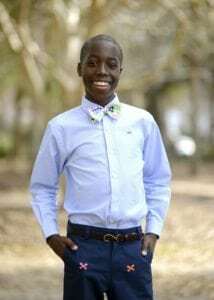 Zion is 16 years old and is the Children’s Miracle Network Hospitals Champion for the state of South Carolina. Zion has a great sense of style and loves wearing bow ties. Igleheart designed the Zion Thomas Bow Tie to raise funds for the new MUSC Shawn Jenkins Children’s Hospital. This bow tie is only $35.00 and $10.00 from every sell will be donated back to the new children’s hospital fund. Purchase a bow tie today and help kids like Zion!